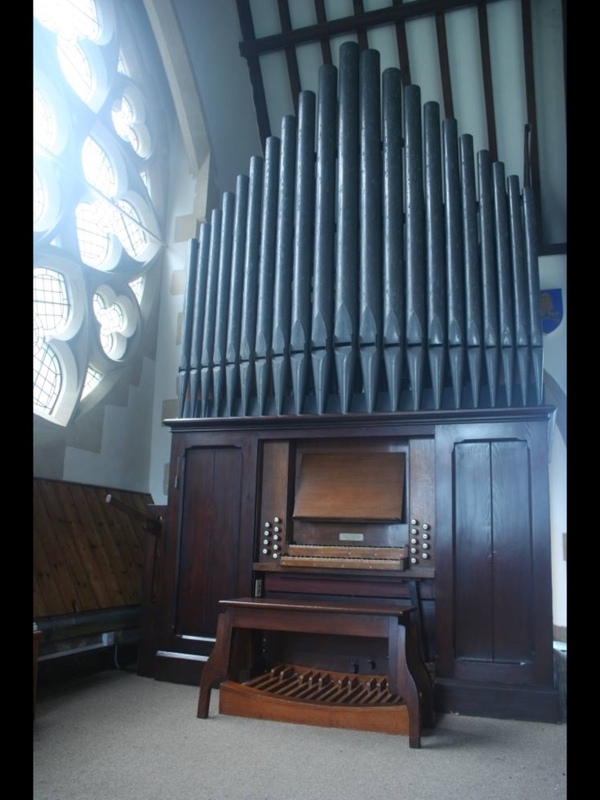 The pipe organ at St Wulstan's was originally built by John Nicholson, founder of Nicholson's Organs, in 1870. It is located sideways in the west gallery from where it speaks freely into the church below. 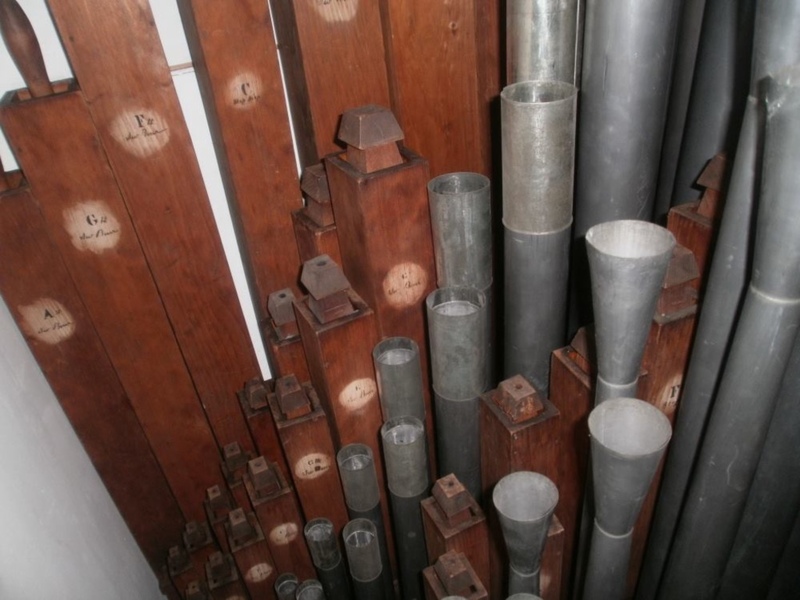 The beauty of the old pipework is still evident and the Great Stopped Diapason and Flute 4' are particularly lovely. 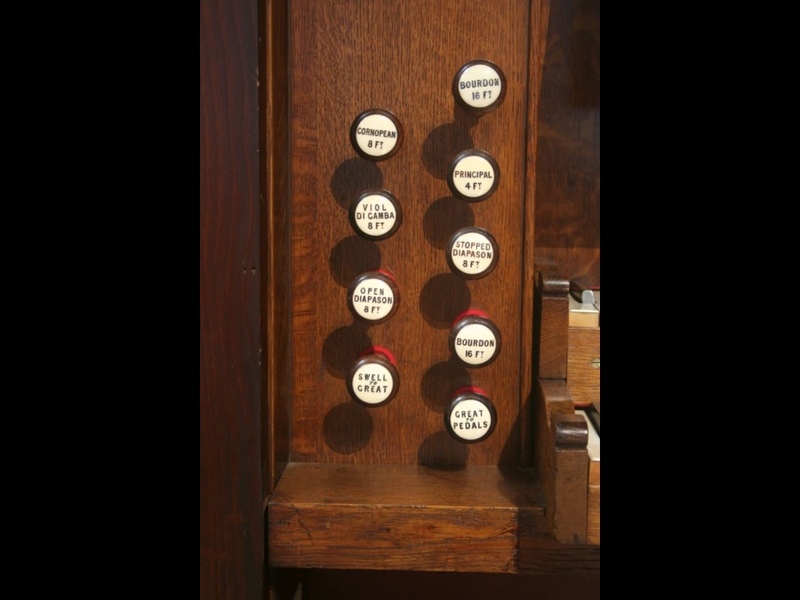 The compass of organs in 1870 had not yet been standardised and here the Swell organ stops stop at tenor C. The bottom octave is simply coupled to the Pedal Bourdon. Similarly the pedal compass was only 20 notes although a 29-note pedalboard has been fitted at some point. 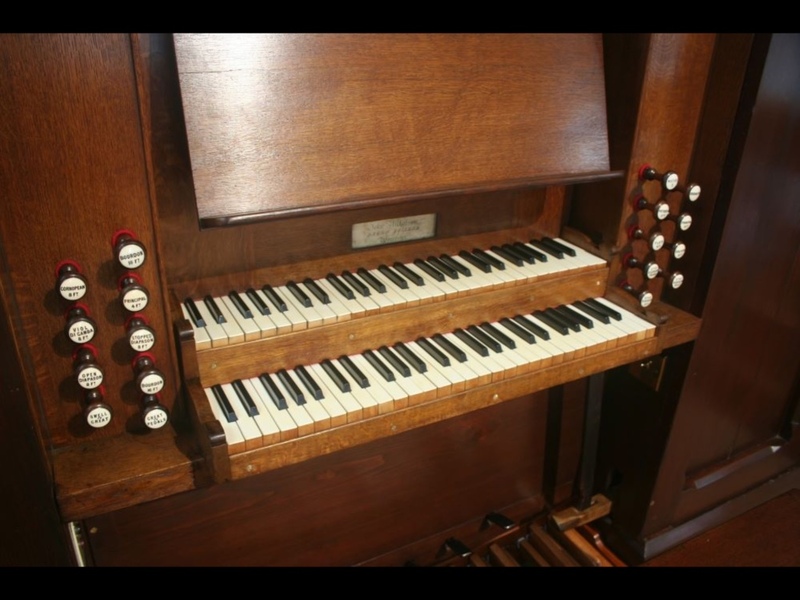 Both of these aspects present a serious challenge to any organist attempting the usual repertoire. Space between the Swell and Great is so restricted that the back stop on the Great, a trumpet, become badly damaged. 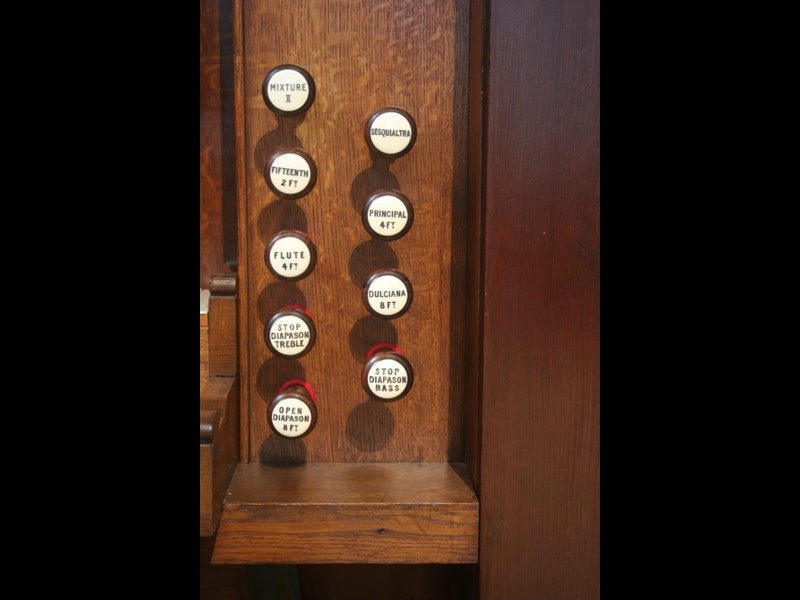 and was replaced by a mixture which provides a greater prospect of reaching the pipework for tuning.